When in doubt, separate the commands and look at each intermediate result to see what is happening. 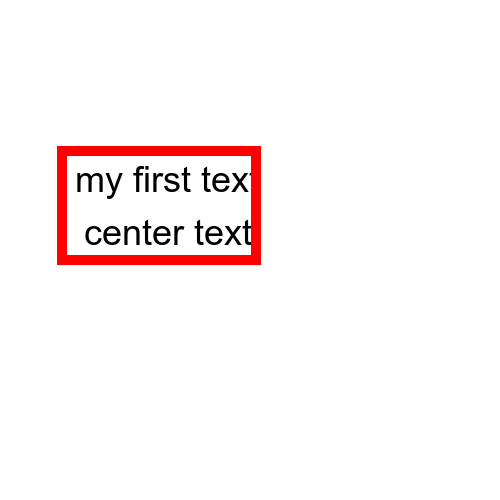 In the above, I found the size of the text image before adding the red border. So I cropped it a bit smaller in width in the following. The above is likely not what you want as I mentioned above in my previous email. And as I said before, there is no easy way that I know to do what you want. Imagemagick cannot do both wrap and trim text that is too long. 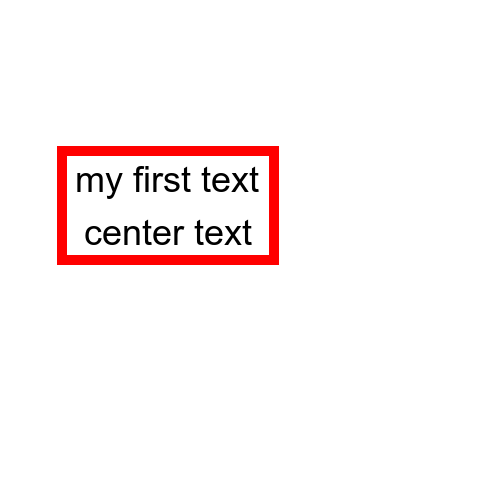 So what I think you have to do is write the text with -annotate or -draw and place each line where you want on an image of the size you want for your box before adding the border. Then add the border. Then composite image in your 500x500 white background in the place you want. This is what I said in my last email message. Please provide an example of the way you want your result to look. PHP exec() is no different from command line imagemagick. You just put your command in the exec("....") area. If you want other API, there is Imagick and Magickwand for PHP. See those forums on this web site. hello moderator, please is these forum topic still open, i will want to ask some questions base on my previous questions. permitted ?? or i should create a new topic. Best to create a new topic after so long a time. If it is really relevant, then you can link back to this topic in your new post.